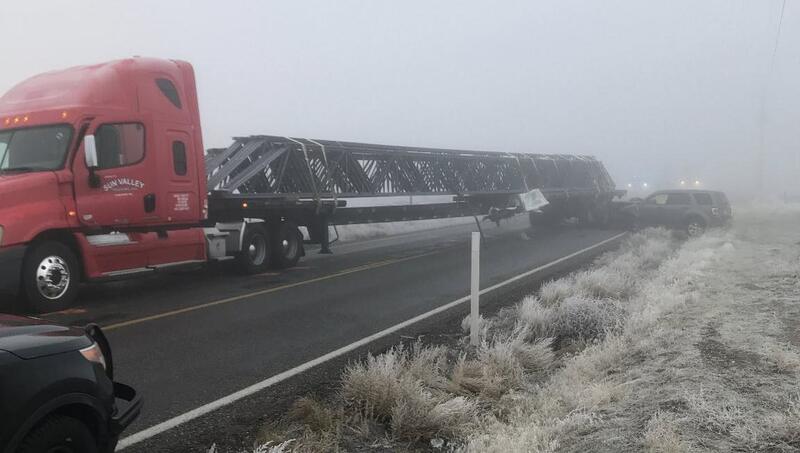 Multiple vehicles and a semi truck were involved in a fatal collision on State Route 241 near Sunnyside on Wednesday morning, according to the Washington State Patrol. The incident occurred around 6 a.m. at milepost 14, about four miles north of Sunnyside. A semi truck and two passenger cars were involved. A preliminary investigation reports that a Freightliner semi truck was turning from a private driveway on the east side of SR 241 to southbound SR 241. A Nissan pickup truck crashed into the semi's trailer, which had not cleared the northbound lane of SR 241. Then, a Ford Escape SUV hit both the semi and pickup. The driver of the pickup, a 24-year-old Sunnyside man, was pronounced dead at the scene. A 62-year-old Prosser man driving the Escape was injured and transported to Prosser Memorial Hospital. The 34-year-old Sunnyside man driving the semi was not injured. The first priority in a crash involving a semi truck is for the injured parties to seek medical treatment. 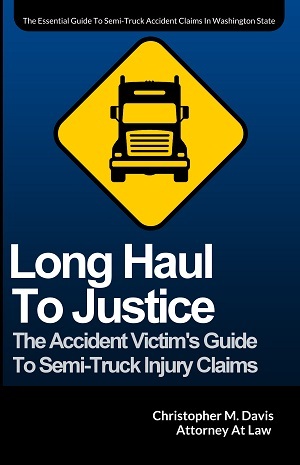 Then, another high priority should be contacting a Washington state semi truck accident attorney for help. The reason you need to act quickly is simple. The trucking company and its insurance carrier have likely already sent a team of professionals to investigate the accident and secure evidence. This puts victims like you behind the eight ball. Hiring a lawyer will level the playing field. A team of attorneys on your side will conduct a separate investigation, helping identify key witnesses and preserving evidence used to prove fault. The earlier your attorney can begin work on your case, the better chance of a successful outcome. In many cases, the attorneys at Davis Law Group retain the services of experts to prove fault and/or recreate the accident. Our Washington state semi truck accident attorneys have decades of experience handling these complex personal injury cases. For a free case evaluation with an attorney at Davis Law Group, call (206) 727-4000. You can also use the chat feature below or fill out the form on this page.